As a consultant I visit many different businesses with different solution requirements, but there is one question I get asked a lot and that is, Do I still need to ensure that my data in Office 365 is backed up? There is a widespread misconception that data created and stored in the cloud does not need to be backed up. When data is deleted or corrupted, companies face three major problems: Lost data, lost time and lost revenue. Companies need to consider a multi-layered approach when it comes to security against cyber-attacks. Office 365 data is not invulnerable—without sufficient backup, companies stand to risk losing all of their files. -The WannaCry Virus is a prime example of this, we had numerous customers who’s data got encrypted and then synchronised to OneDrive, the only way around this was using 3rd party tools we already had in place protecting the businesses data. – if we did not then the data that was encrypted would have been lost. As one would expect, an active Office 365 license is required to access O365 data. Unfortunately inactive or deprovisioned user data is permanently deleted, and retaining licenses of departed employees can be expensive. When a SharePoint Online administrator deletes a site collection, all data will be placed in the Recycle Bin where it is deleted after 90 days. After it is automatically deleted, there is no rollback option. When restoring older files from a SharePoint backup, the restore is targeted at the same URL. This means a restore overwrites whatever data currently exists in the site collection – not the individual file or folder. Contacting Microsoft Support for assistance with possible data loss after identifying the proper document version can be very time consuming. After about an hour of banging my head against a brick wall, I managed to resolve the problem. The solution was simple, I changed my DNS servers on my client machine to point to Google DNS (8.8.8.8 and 8.8.4.4) and that was it. – it turns out the error is actually my ISP trying to offer a “DNS Help” page which is omitting the error. Here are my findings when trying to sort out this issue that may help to explain why it happened in the first place. The 3rd option did it for me as I use Virgin Media, so thought well if I use Googles DNS this may resolve my problem.. and it did. Wow, time flies when you are having fun….I can’t believe it has been 7 months since my last post. So since January I have been really busy with numerous projects revolving largely around Office 365 and Exchange. I have picked up some useful knowledge which I will write about here in the coming weeks. This post is dedicated to something new to me – G-Suite to Office 365 – What a ride this has been! Let me explain how I managed to get it all to hang together and get the two services to exist together during the migration and testing phases. Office 365 needs to be forwarding mail onto a domain that G-Suite knows about and the users mailboxes need to have an alias address for office 365 to forward onto. Then we create a connector back to G-Suite for any address that does not live in O365 yet. Doing this tells Exchange Online to send the email to the recipient over in G-Suite. We then stumbled across another minor problem. In order for the Email Data to be migrated into the new Office 365 users mailbox, we need to activate the license. In doing this creates a Office 365 mailbox so then Office 365 thinks the user is now happily working from Office 365. “WRONG”!!! The user still lives in G-Suite until the migration is completed. So in order for the users in Office 365 to send to a user in G-Suite who’s mailbox is provisioned in O365 we have need to create another forwarder back to G-Suite until the migration is completed. How to do this in bulk is in a following section in the blog post. 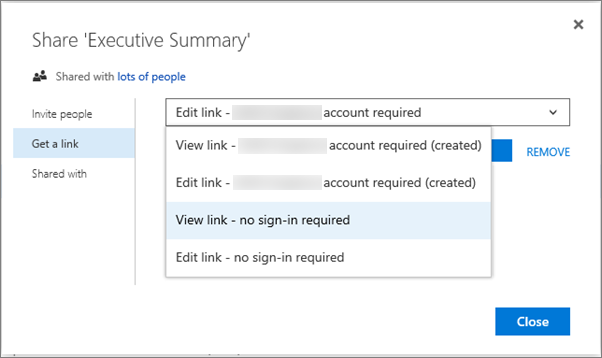 – Adding Contacts to Office 365. G-Suite needs to have a forwarder configured that the Tenant does not have the domain registered to. If you register a domain with Google it treats all SUB domains as internal as well, so a completely new unregistered domain is required to forward any Office 365 bound mail to. You will need to apply mappings (aliases) to recipient addresses on messages received by your domain. You can map multiple individual recipient addresses (a maximum of 2,000 entries) to other addresses. An individual address can map to a maximum of twelve addresses. This is a basic routing concept, sometimes called a virtual user table, that’s frequently used in mail routing situations to redirect mail from one address to another. By using this setting you don’t need to create individual routing settings for each address mapping. From the Admin console Home page, go to Apps G Suite Gmail Advanced settings.Tip: To see Advanced settings, scroll to the bottom of the Gmail page. At the top of the page, ensure that the top-level org is highlighted. If the setting’s status is Not configured yet, click Configure (the “Add setting” dialog box displays). ​If the setting’s status is Locally applied or Inherited, click Edit to edit an existing setting (the “Edit setting” dialog box displays). Enter a short description that will appear within the setting’s summary. Under Messages to affect, select All incoming messages or Only external incoming messages. Scroll down to Routing options, and select Also route to original destination to send a copy of the message to the new address and also deliver it to the original recipient. Note: If you don’t select this option, the message is only sent to the new address. For example, jensmith@solarmora.com is in the address map and the new address is jensmith@gmail.com. If the checkbox is checked, both jensmith@solarmora.com and jensmith@gmail.com will receive a copy of the message. If the checkbox is unchecked, then only jensmith@gmail.com will receive the message. Enter address mappings in the box. Click Add to add the mappings. When you’re finished making changes, click Add setting or Save to close the dialog box. Note: Any settings you add are highlighted on the “Email settings” page. Click Save changes at the bottom of the “Email settings” page. When you’re finished, click Add Setting (at the bottom of the dialog box). Click Save changes (at the bottom of the “Email settings” page) to confirm your changes. It can take up to an hour for changes to propagate to user accounts. You can track changes in the Admin audit log. So when adding the mailboxes in Office 365 be default the users email addresses were the onmicrosoft.com domain. This was happening because there were no On Premise Exchange Server therefore no Proxy addresses recorded in Active Directory. We then had to add all of the email address alias’s to the proxy addresses using PowerShell. The next few commands are how we did this. Click on the Hosts button. Click on the Add Route button. Enter a Route Name (e.g. Mimecast Outbound Host). Select Multiple Host and enter the Mimecast Outbound Hostnames for your Mimecast region. Both must be marked as primary. See the “Outbound Send Connectors section of the Mimecast Gateway page for full details. Enter a Route Name (e.g. Internal Sending Host). Select Multiple Host and enter the Google Apps MX Records (ASPMX.L.GOOGLE.COM. and ALT1.ASPMX.L.GOOGLE.COM). Navigate to the Routing section. Select the Outbound option in the “Messages to Affect” section. Select the Change Route option in the Route section. Select the Route Name created in step 5 of the “Preparing Your Outbound Hostname” section. Click on the Add Setting button. Select the Internal | Sending option in the “Messages to Affect” section. Select the Route Name created in step 9 of the “Preparing Your Outbound Hostname” section. 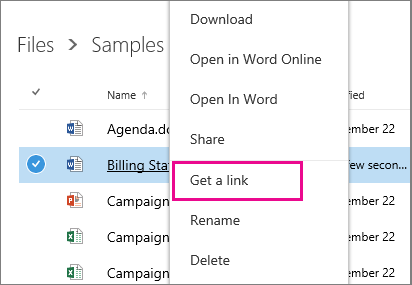 From Select “Office 365” from the drop down list. To Select “Partner Organization” from the drop down list. Select the icon to add your region’s smart hosts. So our experience with the Cloud Migrator APP has been interesting. Initially we started to use the Cloud Migrator Go SaaS application which was reasonably simple to configure following the guides provided by Cloud M. However we soon realised there were speed issues when moving data between G-Suite & O365. The issues are caused by the API’s between GSuite and O365 being limited. There is nothing we or Cloud M could do to improve the migration speed between the two services. We then switched to the Cloud Migrator App which you install on your own dedicated server On Premise – in our case we used a Virtual machine in VMWare. Once configured we were able to fire up numerous Servers to run Cloud Migrator having a number of migration batches running at the same time and our Data throughput seemed to be 4x that of the cloud Migrator Go SaaS option. All in all the customer is now running Co Existence of Office 365 and G-Suite. Mail is flowing and users are happy. We intend to complete the migration to Office 365 in the coming weeks. 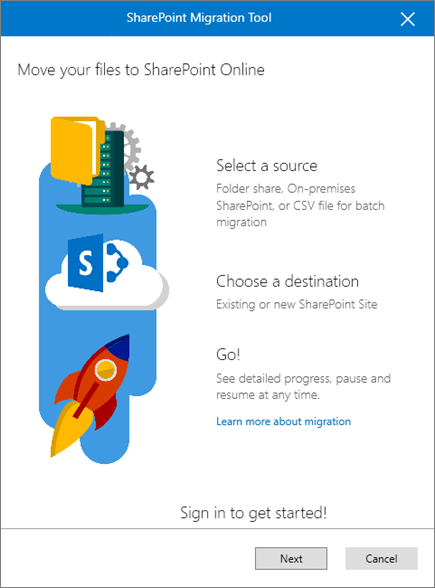 I decided to write this post as there does not seem to be many guides out there to help you migrate from G-Suite to Office 365. Hopefully if you read this it will help you on your projects. Well, here is a nice little feature that I was unaware of until today…. A handy way to inform your users on support information for Microsoft Office 365. As an Office 365 admin, you can streamline user support by adding customised contact information to the help pane. Users in need of support will be able to access your organisation’s custom support contact info with a single click of the help icon. NOTE: To create a custom help desk card, you must be a global admin for Office 365 and have a license to Exchange Online. 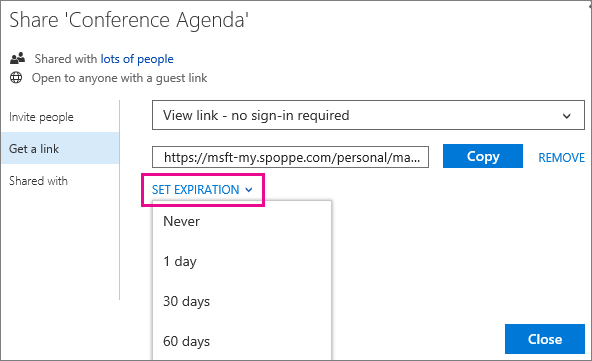 Learn how to assign licenses in Office 365 for business. 1. Sign in to Office 365 with your work or school account. Learn how to sign in to Office 365. 2. Select the app launcher icon and choose Admin. 3. 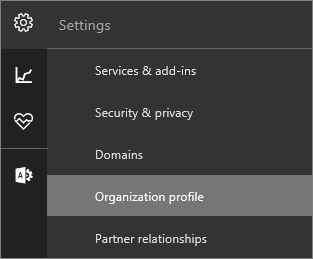 Choose the settings icon, and then choose Organization profile. 4. Next to Provide customized help desk contact info, choose Edit. 5. Turn on the Help desk card. 6. As an admin, you decide what kind of contact information you want to give users. The title and at least one form of contact information are required. Select what you want to display, and fill out the appropriate info. o Help desk phone: Enter the phone number users should call to talk to a tech support agent at your organization. Be sure to include any prefixes that may be needed to complete the call. o Help desk email: Enter the email address for your support department. o Help desk URL: If your support department has an internal or public website with helpful tools and resources, enter its name and the associated URL. To see your new customized help desk card, sign out and back in again. We recommend you test the links on the card as soon as you sign back in. Your users will be able to see the card the next time they sign in.